contraction of the stapedius muscle in response to intense sound, increasing impedance of the middle ear and thereby protecting the inner ear from the sound. a contraction of the stapedius and tensor tympani muscles in the middle ear in response to a loud sound. The muscle contractions pull the stapes out of the oval window and thus protect the internal ear from damage caused by loud noise. The acoustic reflex threshold is the lowest level of sound that will elicit an acoustic reflex and is in the range of 85 to 90 dB hearing level in individuals with normal hearing. Acoustic reflexes are usually elevated or absent in cases of conductive or sensorineural hearing loss and present at normal or lower levels in the case of cochlear hearing loss. According to some reports, topographical diagnosis of acoustic reflex is performed in only 79% of patients (4), thus the real incidence of facial palsy in neuroborreliosis patients remains questionable and findings related to it should be interpreted with caution, although it appears objectively reasonable to state that in the areas endemic for borreliosis the incidence of facial palsy is about 25%. Acoustic reflex generally is included in standard evaluation of every patient with facial palsy in neuroborreliosis but has not been considered relevant for prognosis to date, although there are literature reports suggesting its role as a predictor of the disease (9). Among few studies having used and assessed the role of acoustic reflex as a disease predictor, the study by Bjerkhoel et al. 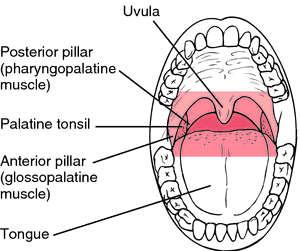 The acoustic reflex lesion in acute facial palsy is mostly described in general, irrespective of its etiology. On the other hand, the above results of acoustic reflex assessment according to diagnosis indicate that patients with borreliosis have a significantly higher number of suprastapedial lesions and longer recovery time, suggesting that etiology significantly influences facial palsy recovery. Comparison of our results revealed differences according to acoustic reflex recovery. In the evaluation of prognostic value, acoustic reflex and HB scale were correlated in order to confirm their conformity. Finally, descriptive data on the acoustic reflex recovery time and HB scale according to therapy were used to identify as many as possible prognostic factors in the management of facial palsy in neuroborreliosis.